Virtual reality, social media, and global markets have changed the face of real estate, and real estate agents have to change to keep up. Be willing to look at what’s working for you and what’s not, and ruthlessly abandon what’s not working in place of something better. This is an extract from an article I published in Real Estate Hot Topics, the magazine from Real Estate Academy. Obviously we all use our brains, and one thing we do especially well is pattern matching. We’re great at seeing, recognising and acting on patterns in the world – and that gives us valuable insights, judgement, and wisdom. A lot of what we call intuition comes from pattern matching – even if it’s subconscious. For example, you get a routine e-mail from a landlord about their property. It looks like a fairly simple e-mail, just reporting on an interaction with one of your team members. But you know she’s upset. There’s nothing obvious in the e-mail, but subconsciously you spot something there that’s different from her normal e-mails – in other words, something that doesn’t match her usual pattern. Or you’re making a presentation to your team, and you stop for questions. You look around the room, and even before somebody raises their hand, you know they’re going to ask a question. You call on them, and they are amazed – because perhaps they hadn’t even decided yet to ask the question! But you spotted something in their posture, a micro-expression on their face, or a tiny change that crossed your subconscious mind and registered as a pattern. Pattern matching is valuable because it fast-tracks our decision making. If we drive a different car for the first time, we get the hang of it quickly because most of the features are exactly the same. If we eat at a new restaurant, we broadly recognise most of the items on the menu, even if we’ve never seen exactly those items before. When we get a new client and start managing their property, we have a pretty good idea what they need to know about working with us. 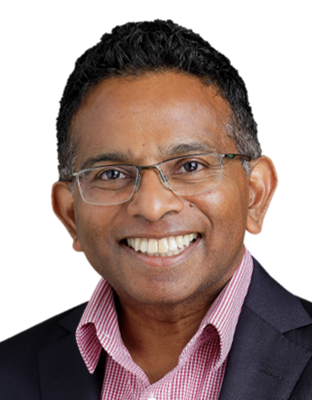 This is an extract from an article I published in Elite Property Manager, the leading magazine for property managers in Australia. Many leaders are so busy caught up in their own business and industry that they never take the time to look up and out. That’s a real risk, because in our hyper-connected world, new technology and trends from completely outside your industry could disrupt your business. 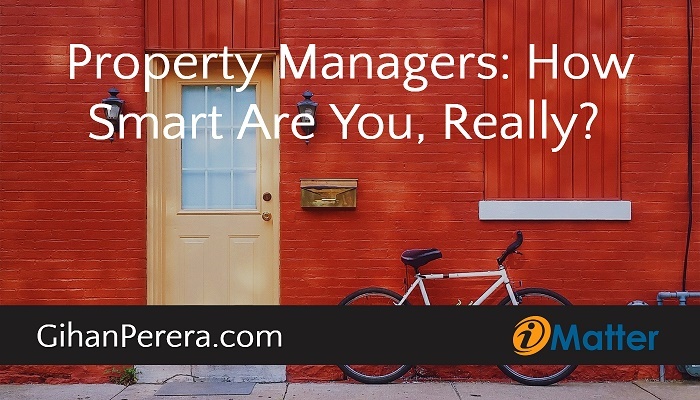 Property Managers: How Smart Are You, Really? Experience is useful, but it can also get in the way – especially in a fast-changing world where the old solutions don’t necessarily work anymore. When you make a management listing presentation to a new client, do you just make a standard presentation every time, or do you really listen to what this specific owner needs for their property and the way they deal with you? If a tenant causes a minor problem, do you automatically react based on other tenants you have known, or do you take the time to discover their unique situation before you respond? If your most junior team member suggests an idea in a team meeting, do you reject it because “We tried that before and it didn’t work”, or treat it (and her!) with respect and consider it seriously? When somebody posts a negative comment about you on your Facebook page, do you hit back immediately because it raises long-held personal beliefs and emotions, or do you stop and take the time to push those patterns aside so you can respond more appropriately? Do you lump all your agency’s salespeople into the same group because “They are in Sales, and don’t understand Property Management”, or do you treat each of them as skilled, talented, and motivated individuals who can help you build your business as well? Do your processes, systems, policies, and procedures force everybody (tenants, owners, and your team) to fit into one way of doing things, or are they flexible enough to accommodate individual needs? I wrote about this in an article “Is your own brain your number one threat?” for Elite Property Manager magazine. If you would like to read more about the dangers of operating on auto-pilot, you can download and read the full article here. 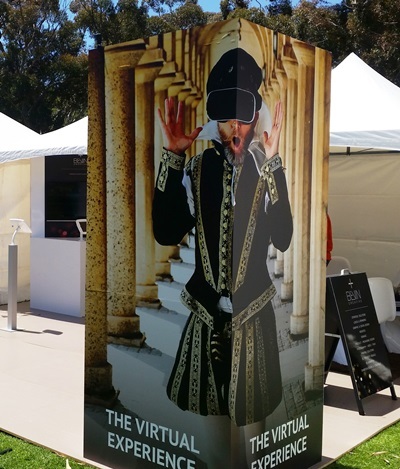 Last year, when speaking at a real estate conference in Brisbane, I had the chance to test out a virtual reality headset from RealEstate.com. This technology allows property buyers and tenants to view and inspect a property even if they are on the other side of the world. More recently, I had the chance to use virtual reality to step inside the Globe Theatre in London. This is not the modern Globe, but the Globe as it was in Shakespeare’s time, 400 years ago. 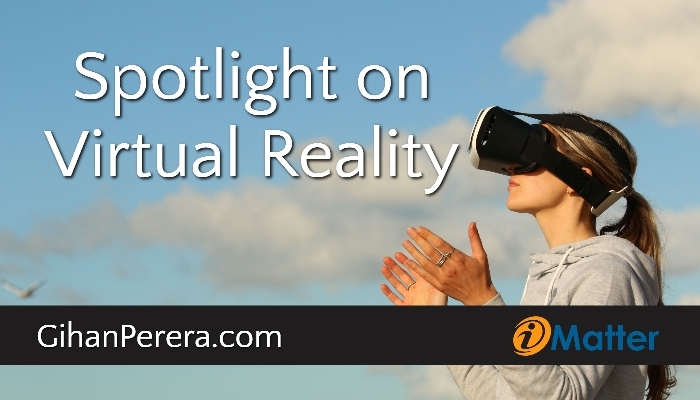 These simple examples demonstrate the power of virtual reality, or “VR” – one of the most life-changing technologies we’ll see in the next few years. That world itself isn’t real, but virtual reality makes your experience of it very real! 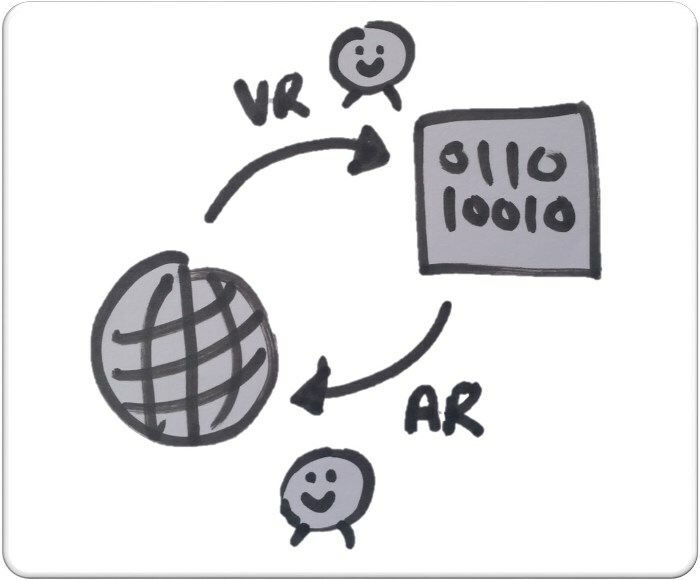 As an aside, there’s a related technology called augmented reality (AR), which bring parts of a digital world into the real world. For example, the popular Pokémon Go app used AR to project the fictional Pokémon world onto physical locations, turning a card game into a real-world game. On the left (picture courtesy Royal Opera House Covent Garden) is an early version of Google Glass, which gives the wearer additional information about whatever he’s looking at. 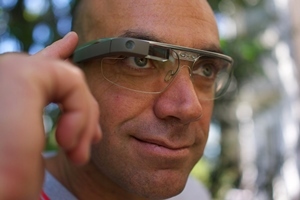 The device gives him a clear view of the world, but augments it with information from Google. On the right is the Oculus virtual reality headset, which blocks out the viewer’s real world and tricks her senses to believing she is in a completely made-up world. What’s so great about VR? Authors use the written word to transport readers into virtual worlds. Actors and producers use film and stage. As a kid, you might have had a “Viewmaster” device – as we did – and marvelled at its ability to show still pictures in three dimensions. So, if we’ve been doing it for centuries, why all the buzz about it now? Until now, our technology has been limited, and it has required users to use their imagination to “fill in the blanks”. Now, we have the technology to create an experience that’s almost indistinguishable from reality. VR has the potential to change every business, every industry, and every one of our experiences. 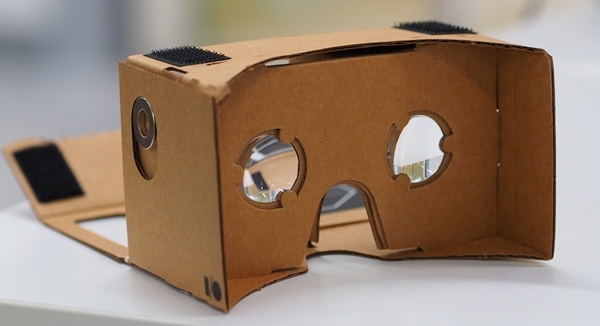 If you have never experienced VR, start by getting Google’s free VR device, Google Cardboard. You can download the free template and build it yourself, or pay a small fee to order it from a local supplier. Follow the instructions to fold the cardboard a few times, and in a few minutes you’ll the basic headset. 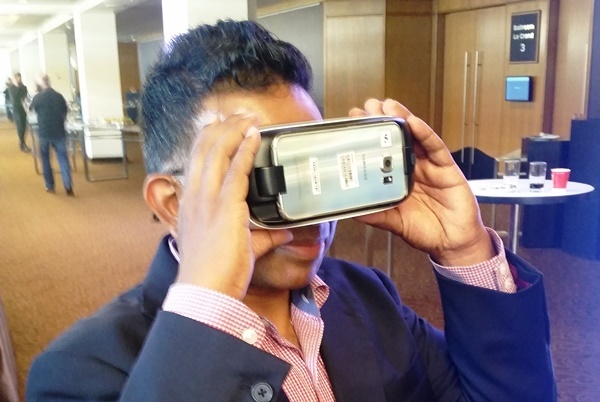 Download the Google Cardboard app to your smartphone, pop the phone into the headset, and now you have a VR headset! This is truly life-changing technology. That was literally true recently, when parents of a dying baby persuaded a brain surgeon to use Google Cardboard to save their child’s life. If you have never experienced VR, I highly recommend you do this! It’s hard to describe VR to somebody who hasn’t experienced it, and when you do experience it, you will immediately grasp its power and potential. We’re not yet at the stage where ordinary users can create VR environments as easily as they can take a photo or shoot a video. But remember how recently that technology was only available to experts? It won’t be long before you can create VR experiences in your personal and professional life. Even if you don’t have the technology, you can become fit for the future by imagining where it might be used in your business, industry and life. Simply consider anything involving people (yes, that’s a huge range of activities! 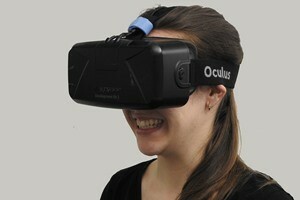 ), and imagine VR in that scenario. The real estate industry in Australia is facing challenges from technology, government, an uncertain market, and increasing competition.But there are also great opportunities for smart agents and agencies to stay ahead of the game. Many real estate agents still use old-fashioned letterbox drops to promote their services. Why? Because they work! But are they working as well as they could? If your letterbox drop just announces that you’ve sold another house, it just looks like everybody else’s. What’s worse, it’s not really useful to the resident – unless they just happen to be thinking about selling their own house. But what are the odds of that? What if you could stack the odds in your favour by creating letterbox drops that people want to keep – even if they aren’t in the market for selling their home? 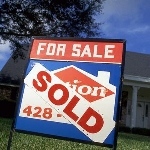 That would make you stand out from everybody else, and make people more likely to call you when they are ready to sell. In other words, you turn your flyer from a boring advertisement (that most people would bin as junk mail) into a client magnet that will attract them to you. The secret: Focus on them, not on you. To do this, give them something useful – not just an advertisement for your services. Put yourself in a typical homeowner’s shoes and ask yourself what you know that could be useful for them to know. This has nothing to do with selling their property (because remember, at any time, most people are not in the market to sell) and everything to do with making their lives better. For example, you know some quick tips for vendors to make their home more attractive for a Home Open. Those same tips could be useful for anybody making their home more attractive to host a dinner party. As another example, your property managers know what tenants and landlords should be doing to prepare their property for winter (clearing gutters, for example). That same advice applies to all residents – whether or not you manage their property. So how does this apply to letterbox drops? Simple. Instead of creating a flyer advertising your services, create a flyer with some useful tips for the occupant. That’s it! Just create tip sheets with relevant suggestions, so they are valuable for the reader. Of course, you will include your name, photograph, logo and contact information as well. But that’s secondary – the main purpose is to provide practical, valuable advice. If you’re not sure how to get started, take a leaf out of trashy magazines! Go to your local newsagent and pick up the latest issue of Cosmopolitan, Men’s Health, or Dolly. Then browse the headlines on the cover, look for headlines with numbers in them, and use them as inspiration for titles for your tip sheets. Now just change the numbers (aim for 5 to 12 tips, not 75 or 176!) and a few of the words to create titles for your tip sheets. These are just a few of the ideas you could generate from those headlines. It doesn’t take much to come up with even more, especially if you ask everybody in the office to play around with them for a few minutes. You’ll be amazed at the results. Then create the tip sheets. Of course, the process above only gives you the headline for your tip sheet, not the tips! But it should now be easy for you to write up the tips, because they are based on your knowledge and expertise. Again, you can tap into the knowledge and expertise of everybody else in your office. 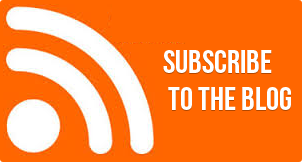 Just send around an e-mail with your proposed headline and ask for ideas. You’ll probably get more ideas than you need, which means you can pick those that you think are the most useful. 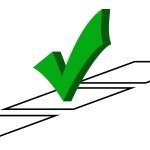 Each tip only needs to be a sentence or two, so you don’t have to be an expert writer to create the tip sheet. If it’s not easy and you’re struggling to get started, try another topic. Can you use this to make YOUR next letterbox drop stand out? This is an easy idea to put into practice – and costs nothing more than what you’re paying already. And yet, most agents won’t do it! So if you do, you’ll stand out from everybody else – and will create something memorable in the minds of your future clients. Isn’t that worth giving it a try? In today’s business market, where you’re not only competing with other agents but with clients using the Internet to sell directly, you can’t rely on what used to work for you ten – or even five – years ago. To continue to succeed, offer compelling experiences to your clients so you stand out from the crowd and offer something they can’t do themselves. Creating experiences starts with putting yourself in somebody else’s shoes (whether it’s a vendor, potential buyer, landlord or tenant), considering their most pressing question, and then giving them a solution. If everybody else is doing the same thing, you have to really blow their socks off with your solutions. But fortunately, most of your competitors aren’t even coming close. So you don’t have to do a lot to really stand out. Here are five questions people might be asking when dealing with you, and one example of how you could address each of them. People are more impatient than ever before, and expect to get instant answers to everything. What can you do to give people more immediate access to what they want? 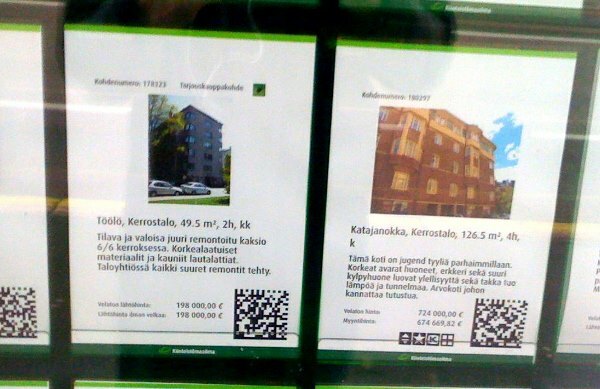 The QR code means somebody can whip out their phone, scan the code and go directly to the property’s full listing (or a video walkthrough, for example) on your Web site. We’re all suffering from information overload, and we ignore most of it – because it’s irrelevant, generic, and not relevant to us. But if you can provide people with something truly personal, it becomes a welcome gift, not an annoying intrusion. Example (for landlords): The landlords on your rent roll are property investors, and they all want to know how their properties are performing in the market. You have access to that information – for example, recent sales in their suburb and neighbouring suburbs. It doesn’t take much effort to search the CoreLogic (RP Data) database for this information, and send it to your landlords, say, every three months. You don’t have to do a separate report for every landlord, of course, because many of them are clustered in the same area. Even though the Internet has given people access to more information than ever before, it doesn’t mean they can find the best information for their specific needs. Tenants want to know local information, vendors want to know how buyers buy in their area, landlords want to know exactly what they need to insure, and so on. How can you provide the information they want (even if it seems so basic to you)? Example (for tenants): Make tenants feel welcome by giving them valuable information about their local facilities and services. This can be as simple as giving them a list of useful telephone numbers, or creating a customised Google Map with your recommendations, or even organising a book fo gift vouchers from local retailers. Just because somebody has access to information doesn’t mean they want to be completely independent. If you only offer one level of service, it becomes “take it or leave it” for your clients. How can you offer a suite of services at different levels, so you can cater for different kinds of clients? Example (for landlords): One of my property managers offers full-service property management (just like everybody else), but also offers a “tenant finding” service for landlords who are happy to do the ongoing management themselves. On the sales side, you might even offer a service to help people who want to list and sell their properties direct! That doesn’t necessarily mean you’re putting yourself out of business; it just means you’re offering a service to clients who would otherwise never use you at all. Selling property is your job, and you probably take for granted everything you know about the process. Most vendors buy and sell property rarely (let’s say on average every 8-10 years), and there’s so much you know that they would love to know (even if it seems obvious to you). How can you share some of your knowledge to make their experience smoother, easier and less stressful? Which of these ideas could YOU use? I have given you just a few examples here, and deliberately chosen those that don’t need a lot of time, money or technology to do. Which of these could you add to your business now? And if none of them seem right for you exactly as I described them, how could you adapt them to make them work for you?